Human body works with a combination of various functions performed by different organs. In order to function properly, our bodies need carbohydrates which get converted into energy. The increasing emphasis on healthy eating simply focuses on improving your body’s metabolism which is an indication of all your organ systems working perfectly. Fruits are a staple for a healthy diet and being the richest source of all essential nutrients, fruits remain the favourite choice for all. Although the same applies to a diabetic diet as well, keeping a strict track of the Glycemic Index and the Glycemic Load is essential as these are parameters which define the sugar content of fruits. Using a scale from 0 to 100, where 100 is considered to be pure glucose level, the glycemic index measures how sugary is a fruit. This index gives you an idea about how quickly the food item will get broken down and released into the bloodstream. According to the American Diabetes Association, the standard GI levels have been prescribed as part of the food for diabetics. In order to maintain healthy blood sugar levels, controlling the portion sizes is very essential. But the glycemic index does not take into account the portion size and in fact considers 50 grams of carbohydrates as a standard content in all food items. This means in order to intake 50 grams of carbs, you may need higher quantity of a food item low in carb content but smaller portion size of another food item high in carb content. But glycemic load balances the glycemic index by measuring the quantity of the food item. A watermelon has high glycemic index leading to a rapid increase in blood sugar levels after consumption. But since the per serving carbs content is low, the low glycemic load will also be less. 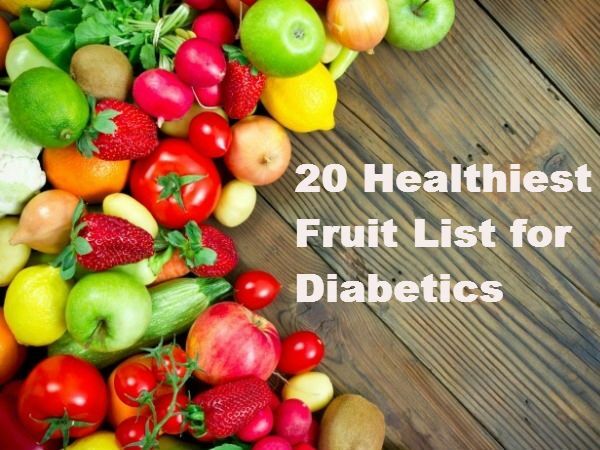 Hence based on these values you can consult your personal diabetes educator to create a customized diet plan for diabetes in order to ensure your diabetic diet is always the healthiest.